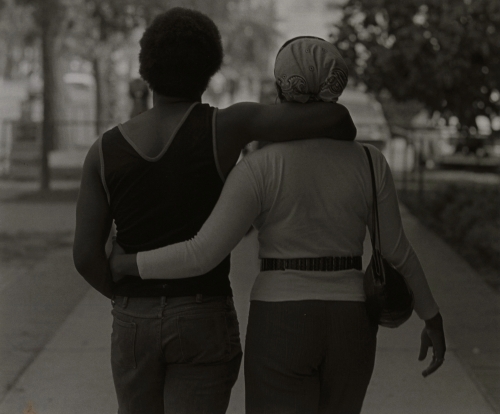 Soul of a Nation: Art in the Age of Black Power first opened in 2017 at London’s Tate Modern before traveling to Crystal Bridges Museum of American Art in Arkansas and then, the Brooklyn Museum. 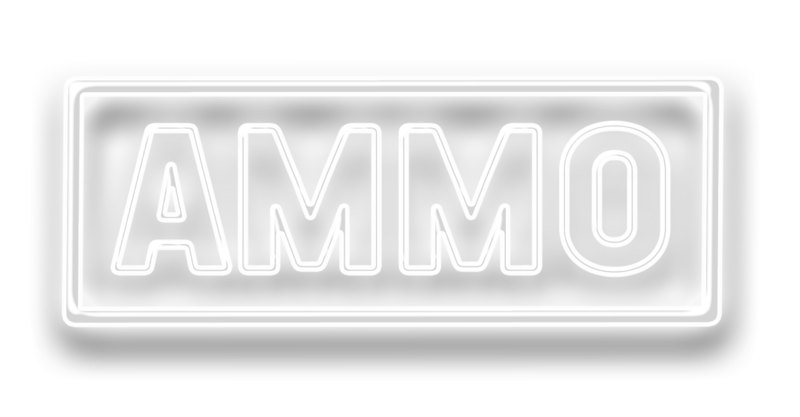 Today, you can view this show until September 1st at The Broad. 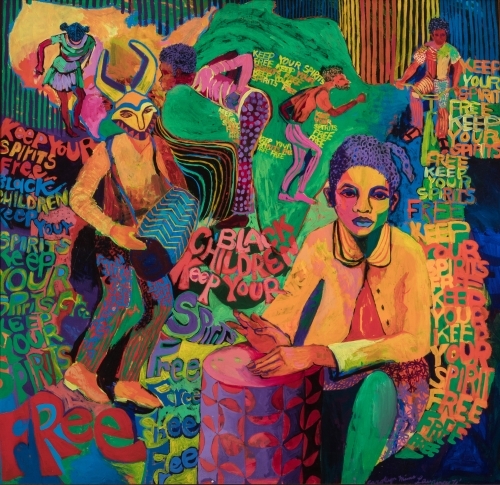 The exhibition includes work from 60 Black artists that includes paintings, sculptures, assemblage, street photography, collages, murals and more. Walking through the exhibit, with art pieces divided by place, time and mediums, your eyes embark on a visual expedition. Each piece, in every gallery, is a response and visual expression to the Civil Rights Movement. 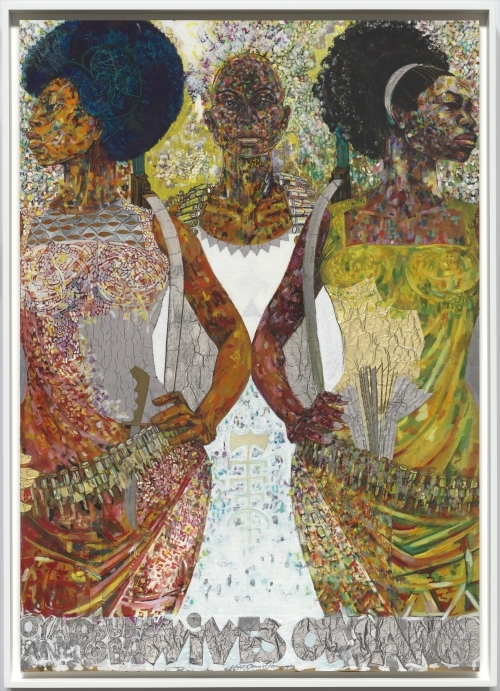 Powerful mediums like Black hair, nylon tights, brown paper bags, admissions doors-are the various textures that artist used to illustrate their perspectives during these racially charged times. Some artist created work around iconic Black figures and civil rights leaders such as Billie Holiday, Malcolm X, Martin Luther King, John Coltrane and more. Other artists, like Melvin Ewards and Alma Thomas, engaged with improvisation and experimentation, constructing work with materials like bobwire, chains, and hole punch tabs. 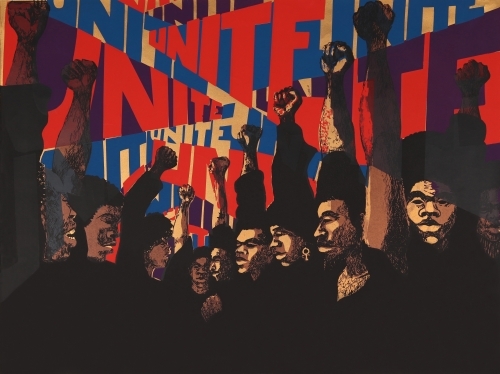 This collection not only displays artists’ individual perspective/response to a politically charged period in American history but it also highlights artist collaborations and collective dynamism. In a majority of the galleries in Soul of a Nation is work from artist collectives like the Spiral Group, Chicago’s AfriCobrand, and Harlem’s Kamoinge Workshop for Photographers. Uniquely to The Broad’s exhibition of Soul Of A Nation, three distinct galleries are specifically dedicated to local (LA) artists. One gallery, “Three Graphic Artist,’ features the works of Charles White, David Hammons, and Timony Washington. In the “Three Graphic Artist” gallery, on view for the first time is additional work by White and Hammons including The Door (Admissions Office) and Spade (Power of the Spade). LA Assemblage (1962), another gallery dedicated to LA artists, displays art created out of discarded and recyclable items. It is filled with structures made out of items like the rubble from the historic Watts Riots. In this gallery sits About Martin (1976), by John Outterbridge, a small cabinet filled with a miniature suit reminiscent of those MLK wore during marches, a reproduction of Moneta Sleet’s Jr. Pulizter prize and other items that symbolizes the life of MLK. 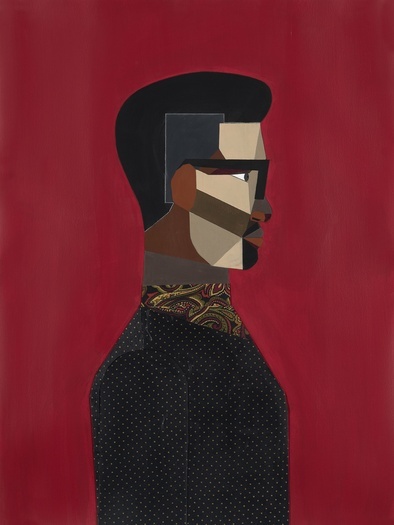 A look at the work from these LA-based artists, along with the other influential Black artists in this collection, is an opportunity to see artwork and art forms that continue to impact American art and history. Covering over 20 years of the Black experience in this nation, this collection perfectly displays the various perspectives, feelings, and expressions of different Black artist during the height of the movement. Overall, Soul Of A Nation is a visual compilation of Black creativity, joy, pain, and artistry. Take the opportunity to experience this exhibition to appreciate these era-defining pieces of art that demonstrate that this Nation still has a long way to go. Visit thebroad.org/soul-of-a-nation for tickets and museum hours.